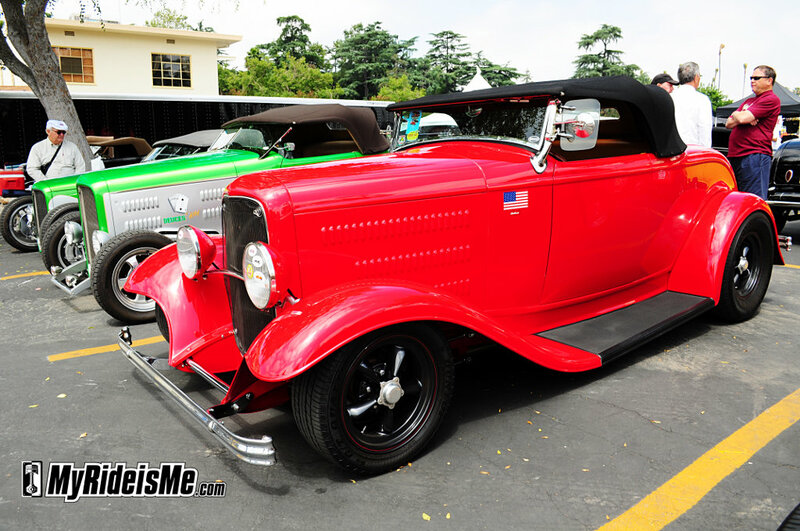 I mentioned in the 2011 LA Roadster Show kick-off story there’s three parts of the show: the “Proper” roadster show, the “other” cars (also the part I like best!) and the swap meet. I’d say there’s four parts if you include the Pomona SoCal Speed Shop open house. We’ll cover all of those for you at MyRideisMe.com! Stay tuned and check back often! 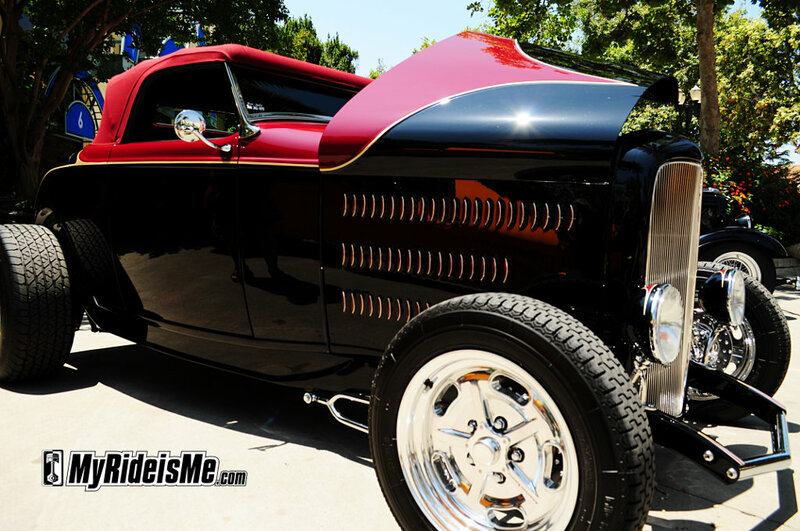 As you can see, there was no shortage of custom hot rods at the show. 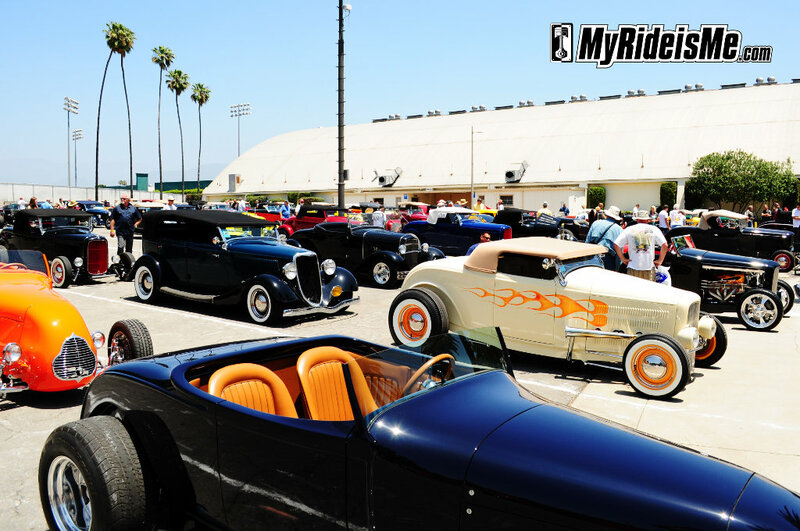 The key difference for the LA Roadster Show is of course, they all must be roadsters. The strict definition is “no roll up windows” but who cares! If the top comes off, it’s a roadster to me. By the afternoon, the sky had finally cleared from its dreary (and miserable to photograph!) gray color and was showing a beautiful blue sky. Isn’t this what we always think of for California? 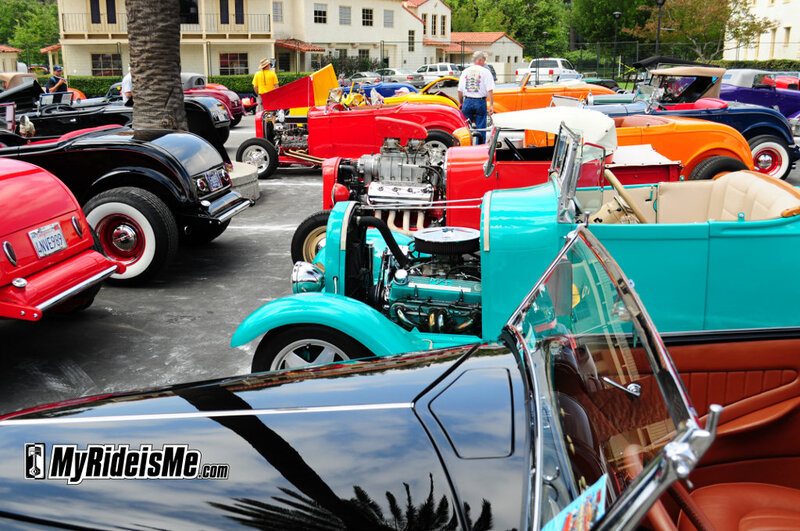 The few Model T’s and late 30’s and 40’s roadsters were easy to spot and served to break up the red-orange-black-yellow field of 32’s-34’s and model A roadsters. Case in point! I’m drawn to little buckets like this because of my own roadster. This scalloped beauty had some incredible detail! The craftsmanship of the rear mounted tank and suspension were amazingly well done. You can just barely make out the finned ends of what looked like a custom-built fuel tank. 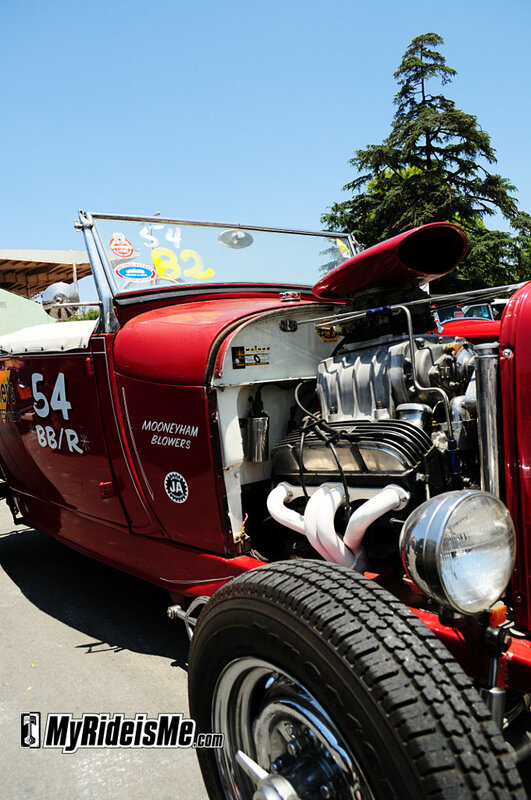 There’s no mistaking this fantastic little Track T.
While we’re talking about cool little tricks, check out the hood of this cool custom roadster. The paint accentuates the raised edge on the hood the ties in with the lines on the cowl and door. Beautifully done! The louvers were interesting too… see how they’re curved? 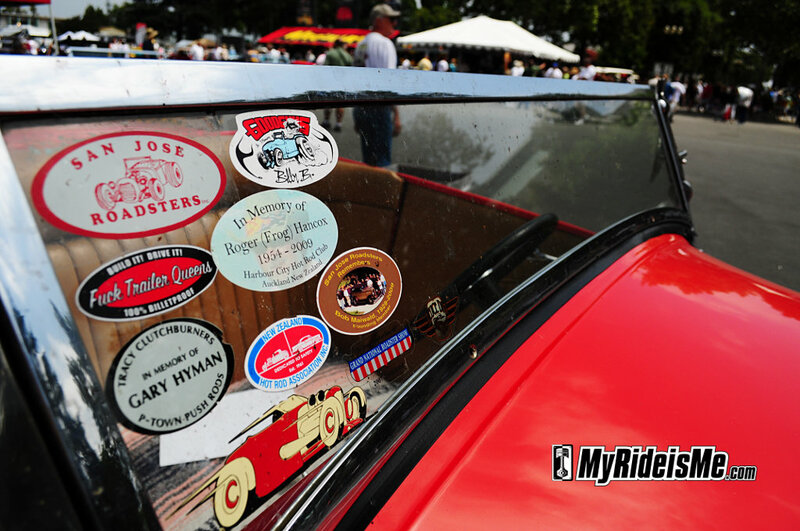 From the sticker, I guess this roadster’s out of San Jose, CA and from the bugs (can you see them?!) I bet it was driven the 300+ miles to Pomona. First and foremost, the cars I prefer are DRIVEN! Don’t get me wrong, I know the AMBR winning 34 above is driven too, but this guy was showing the proof on his windshield. 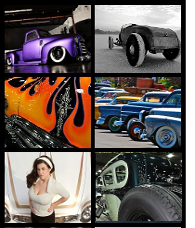 Other than that, I usually give the nod (and photos here at MyRideisMe.com) to nostalgia-styled hot rods. I love steel wheels with simple hub caps and either tall black walled tires or the occasional wide white. It’s simple, classy and timeless. 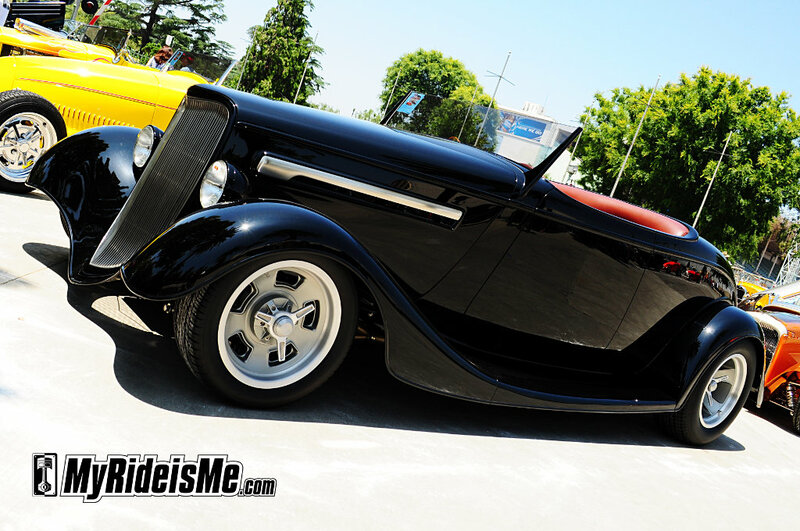 How many hot rods have you loved but wished they had different wheels? Or how many have you seen then said, “That was built in the 80’s” simply by looking at the wheels? You can’t go wrong with the steelies! 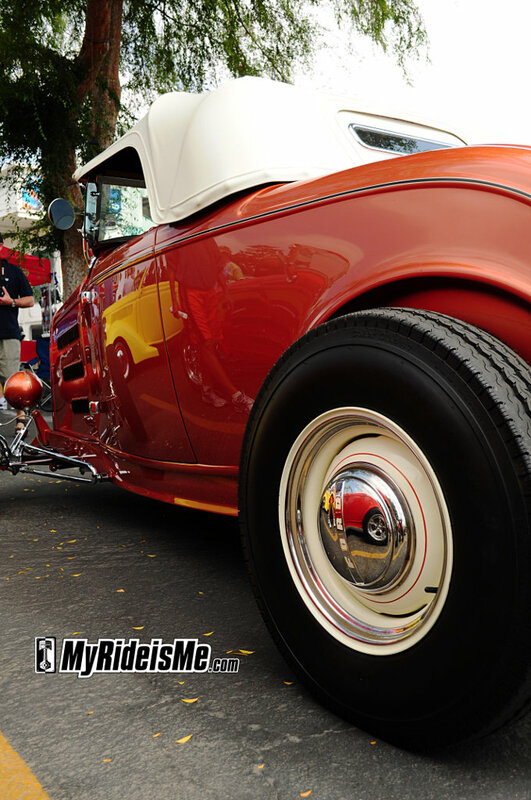 There’s absolutely nothing overstated on this classic roadster. 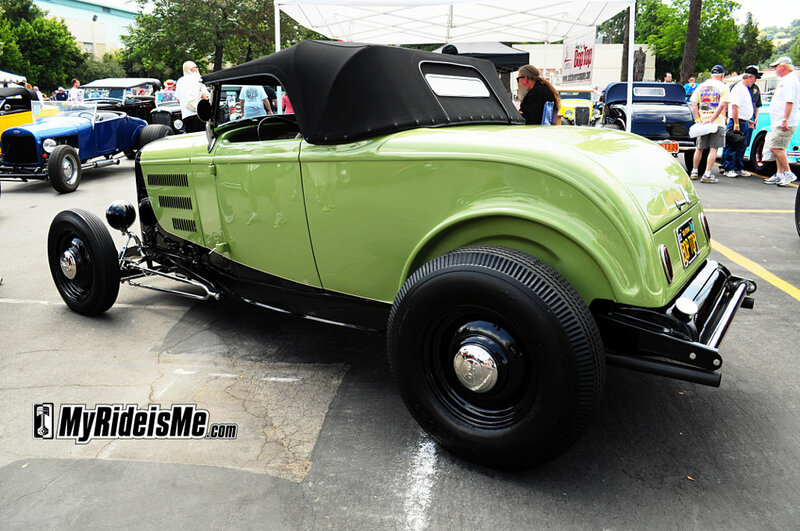 A nice change-of-pace-green color, just the right splash of chrome applied and a perfect hot rod stance. YES!! Finally, throw an unpolished blower on a roadster with some vintage race lettering and I’m sucked in. (get it?) I just wish I coulda heard this baby rumble! 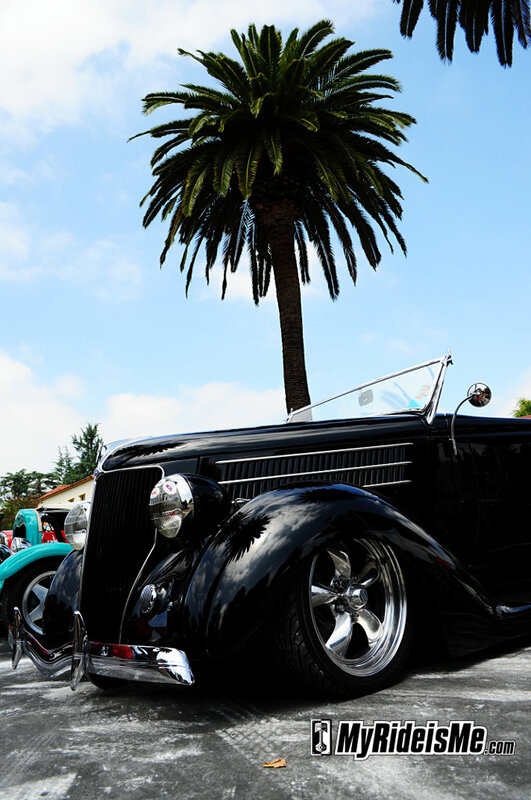 Look for this engine as an entry into the BEST ENGINES of 2011 LA Roadster Show (coming soon). 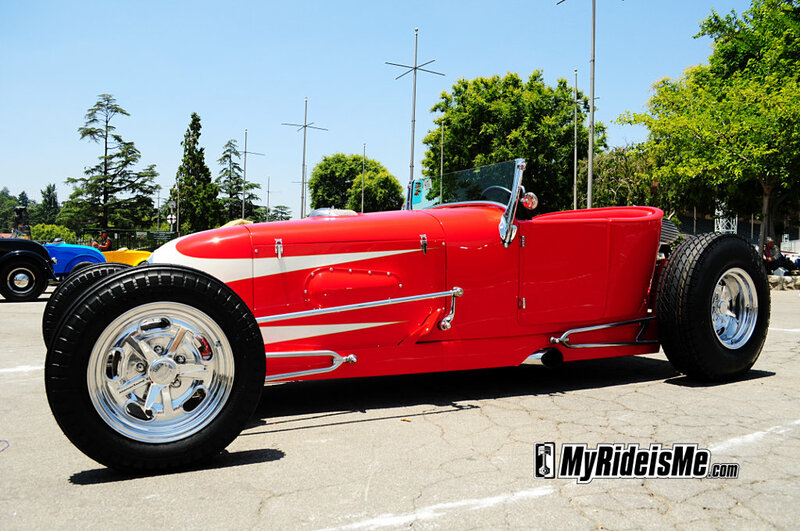 Here’s the best engines from 2010 LA Roadster Show. If I shot your car, please let us know! We’ll add the detail to the photos. We’re also looking for feedback on the new layout of the show. Did you like it?